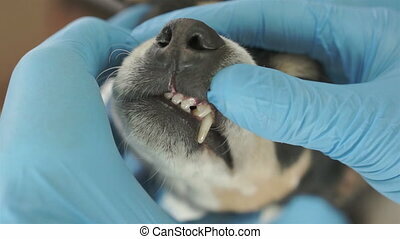 Dog medical examination at vet clinic, cleaning teeth. 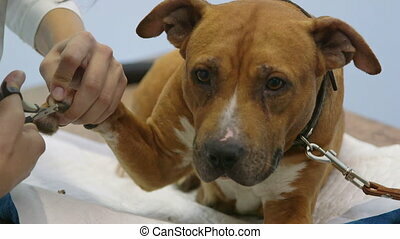 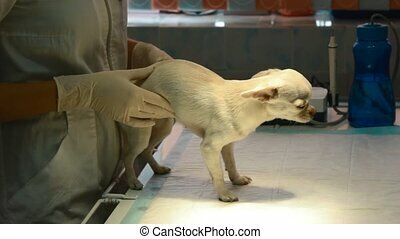 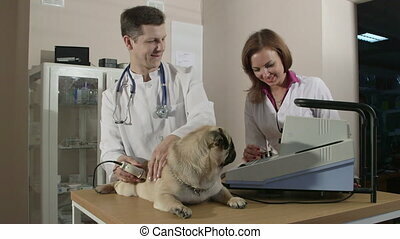 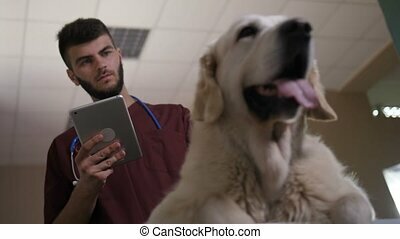 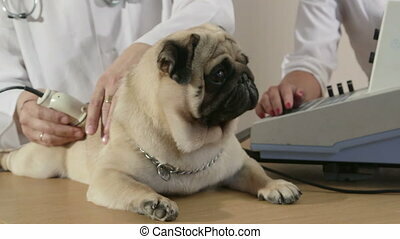 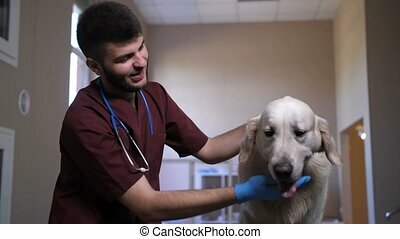 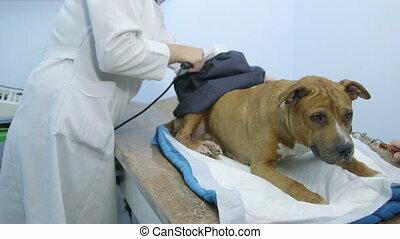 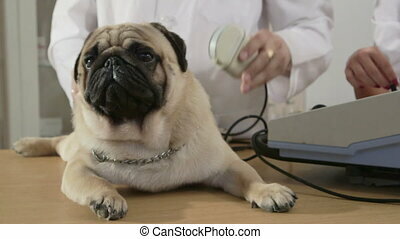 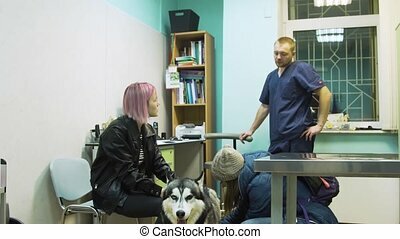 Dog at a veterinarian on examination and medical procedures. 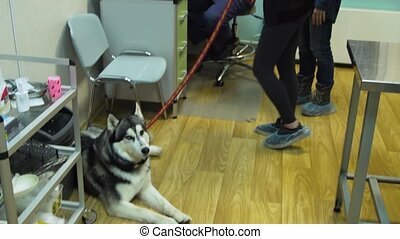 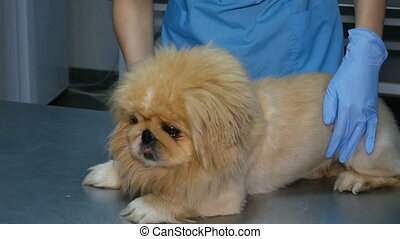 Dog in the veterinary clinic on the medical examination table. 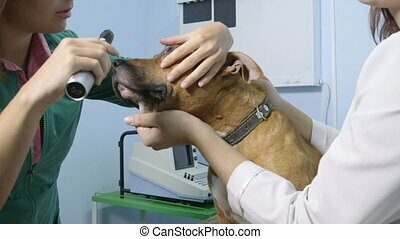 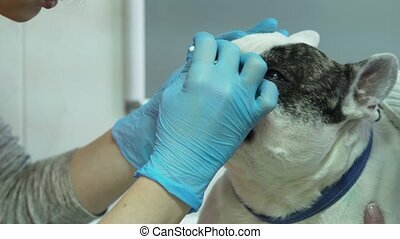 Veterinarian ophthalmologist doing medical procedure, examining the eyes of a dog in a veterinary clinic. 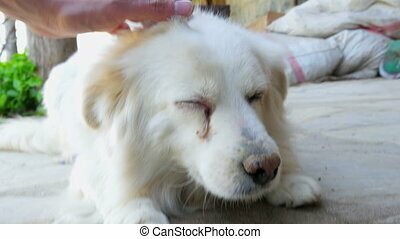 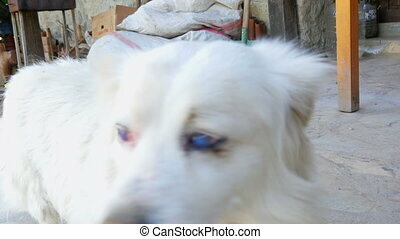 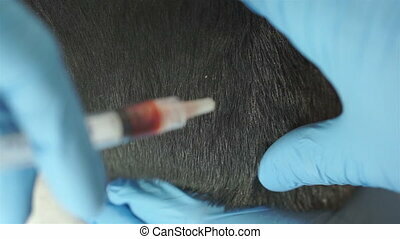 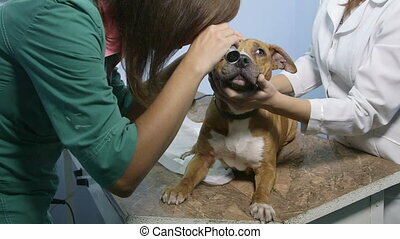 Veterinarian does the analysis of the contents from the dog's eyes for examination. 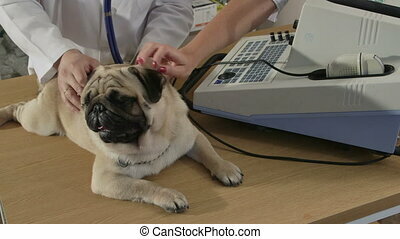 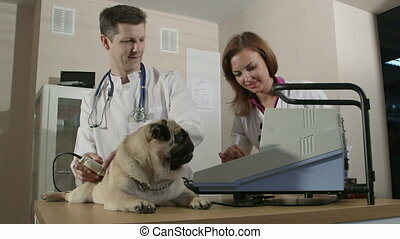 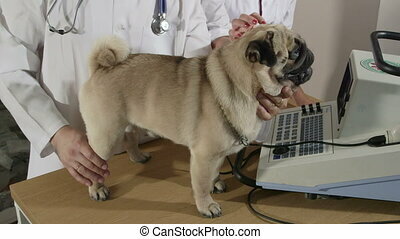 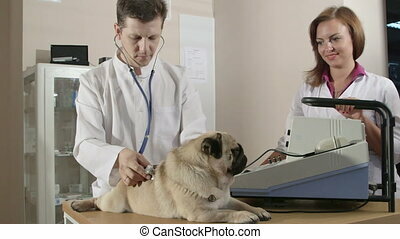 Healthy dog under medical exam. 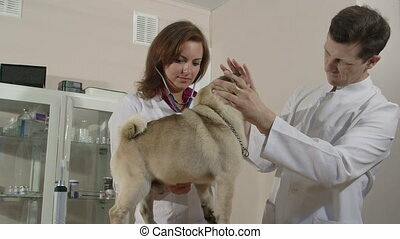 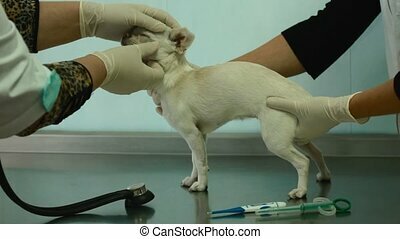 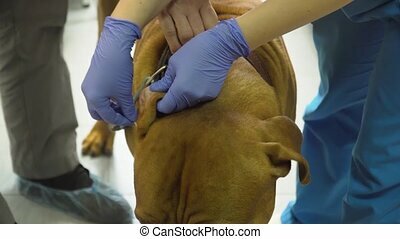 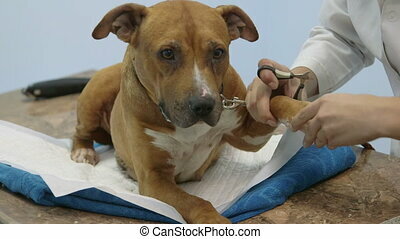 Veterinarian examines the ears of a dog and takes an analysis of the contents of the ear in a veterinary clinic. 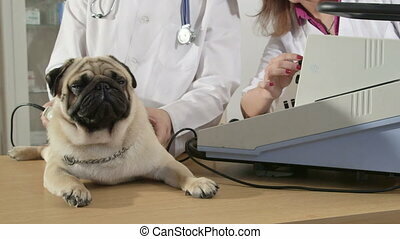 Dog at a veterinarian on examination. 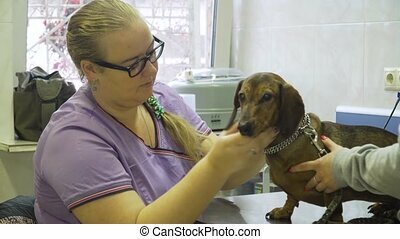 Close up shot of a veterinarian giving a small dog a dental checkup by opening the mouth and visually inspecting the teeth.